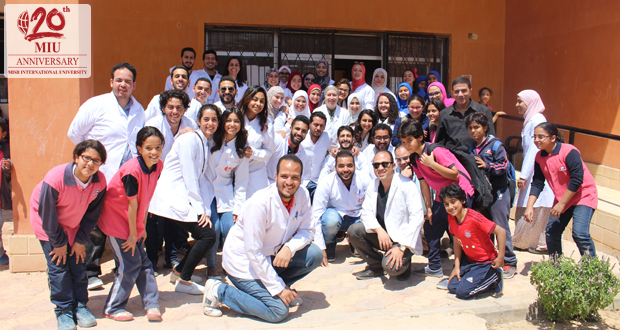 Misr International University is always expanding its community service projects and events. 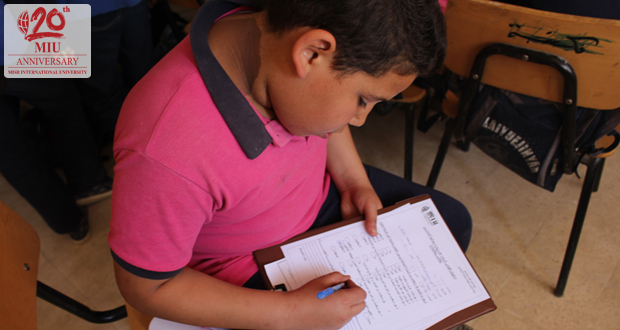 MIU’s Community Service and Environmental Affairs Committee organized a follow-up visit to Anas Ibn Malik school in Al-Shorouk City. 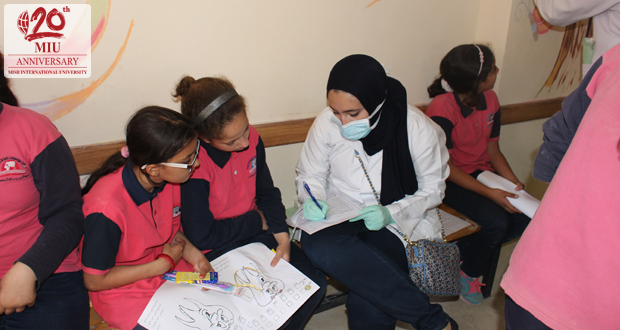 MIU’s fourth year dental students previously visited the school in the academic year 2015/2016. The visit was conducted on Thursday 14th April, 2016 with a total of 80 participating students from the primary and preparatory stages. 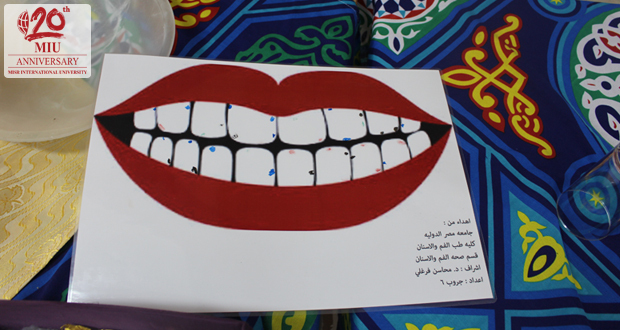 The student activities included an awareness session to improve students’ oral hygiene. The session included a presentation, posters, brochures, as well as live sessions about tooth brushing techniques and oral hygiene measures. Educational materials were distributed to all students. After a dental examination, each student received a card indicating his/her oral condition status and treatment needs. 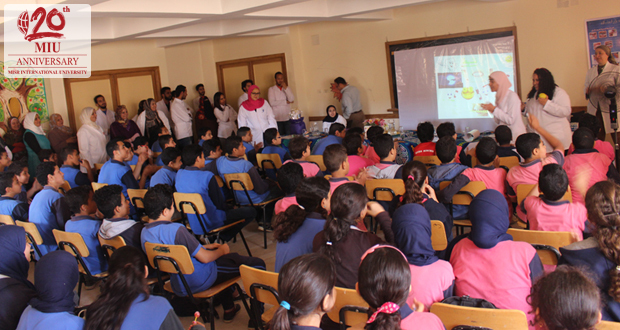 The Fourth year dental students organized a contest among school students regarding their oral hygiene knowledge and handed out prizes to the winners. Two posters were designed by the students and presented to the school. The students also brought packs of tooth brushes and tooth pastes and distributed them to school students, in addition to the packs provided by the Community Service and Environmental Affairs Committee.